Welcome to Essential Elements Dance Studio. WELCOME TO ESSENTIAL ELEMENTS DANCE STUDIO...a contemporary dance experience. Season Six...the season you find your PASSION...and FLAUNT it!!! Essential Elements continues to proudly provide personalized attention and education to dancers of all ages and levels. We are located in your neighborhood; at the corner of Hazlet Avenue and Bethany Road. 732-769-2219 for details. We hope that your journey brings you to Essential Elements, this season, for one of this fantastic classes to widen your horizons and sharpen your technique. Ms. Samantha was honored to contribute to the "Man in Motion" Blog for the "Dance Studio Trend - 5 Solid Ways to Enhance the Dance Experience During Your Summer Program" article! EEDS Parents Enjoy Easy Virtual Payments through our SquareUp Market Place, as well as account management through our secure Parent Portal. Essential Elements continues to be a paper free, technologically savvy, and environmentally conscious studio. November 2018: Annual R.A.I.N.E. Foundation Thanksgiving Dinner Performance. Essential Movers Tab is Where you need to Be!!! Please bookmark, as an Essential Family...Visit Often during the season for may important updates, reminders and downloads. VISIT THIS TAB TWICE AS OFTEN DURING THE SEASON..
November 2018: Annual R.A.I.N.E Thanksgiving Basket Night. Our Company Kids are eager and excited to continue community outreach with such a fantastic foundation. It is a yearly commitment e everyone looks forward to. STUDIO PARENTS ARE WELCOME TO JOIN US THIS HOLIDAY SEASON, BY DROPPING AN UNWRAPPED DONATION FOR THE HOLIDAY DRIVE AT THE STUDIO NO LATER THAN MONDAY, DECEMBER 10TH. Myrtle Beach, South Carolina. July 2018. Atticus Dance Company, National Award winners, Kids Artistic Review. EEDS Favorite, Mr. Chris Bloom, July 2018. Amazing Master Classes and guest artists enhance our student's dance education journey. Fall Master Class Series Begins in September...all area dancers welcome. Our facility is equipped with suspended Marley floors and many eco friendly elements. We are proud to be a paper free studio and encourage our families to make payments and order EEDS dance wear from the comfort of their homes or at their convenience of their smartphones. The focus at Essential Elements Dance Studio remains on the technical building blocks to proper dance training by adding elements to our students' education as their bodies physically mature and their dance vocabulary grows. We strive to ensure the longevity of both their interest in dance classes and the health of their developing instrument. We look forward to sharing our passion with the next generation of expressive movers. EEDS will again bring the community a series of Master Classes throughout the 2018-19 season. 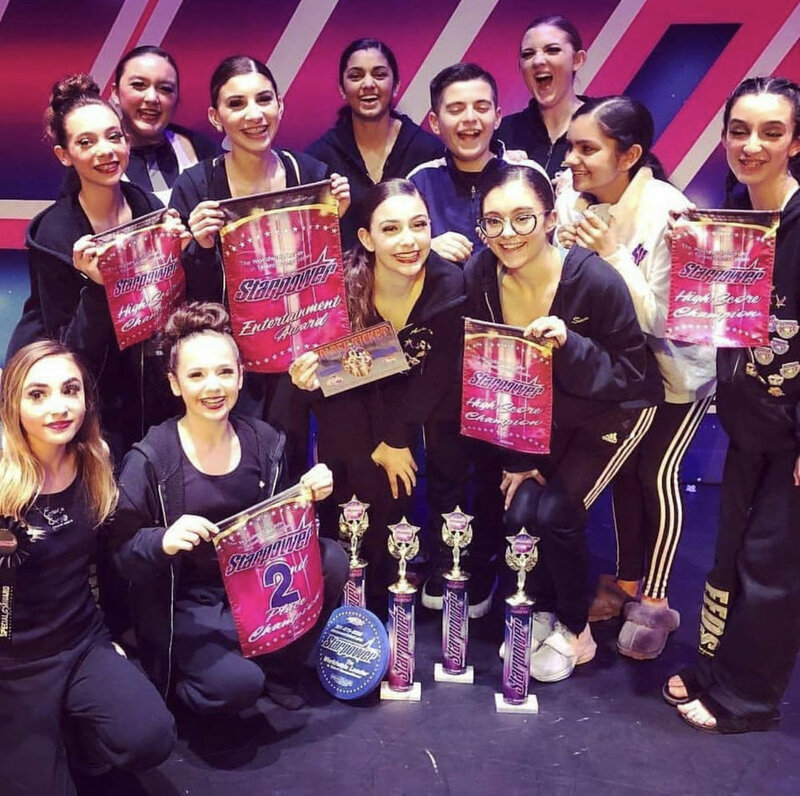 It is our goal to create a cooperative learning environment within our area's student dance companies and surrounding studios, through various styles of dance and respected artists. A Brief Snapshot of our First Five Seasons at Essential Elements. Click above. SEASON FIVE HAS ARRIVED!!! Please Visit our Social Media Outlets to stay up to date on All Things EEDS. SIENNA ULRICH and AVA GUARCELLO were chosen as our stand out Essential Movers for Season Four. Congratulations on your Effort. Excellence. Award. We are so proud of their growth. SIENNA and AVA join our first recipients, GRACE HATTON AND ALISON SULLIVAN. They were awarded our FIRST EFFORT. EXCELLENCE. AWARD for their marked growth and continued focus in their classes, this season. The Essential Circle of Dancers is a very prestigious group of our students. Sums up our Recital Experience with a single smile Truly a MAGICAL afternoon...one that we may never forget. Welcome to all the new EEDS families...you are in for something different at the Essential Elements' Recital Experience. We proudly offer a stress free preparation for the show...a unique approach to year end class photos, stylish and functional recital shirts, TICKET SALE FREE show tickets. Essential Elements extends a unique experience to all families and dancers...from September through June. Please see the ATTICUS Page for more details on the opportunities available to your dancer through ATTICUS DANCE COMPANY. The SCOUTS: a pre- company level for dancers 9-12 years old. The PETITE SCOUTS: an introduction to a technically accelerated Elements of Dance Program: 6-8 year olds get a sample of the the pre- company program in this first step toward the ATTICUS DANCE COMPANY. Is your dancer looking for a greater challenge? Inquire today about The Scouts/Petite Scouts Program and your dancer for the 2018/19 season.